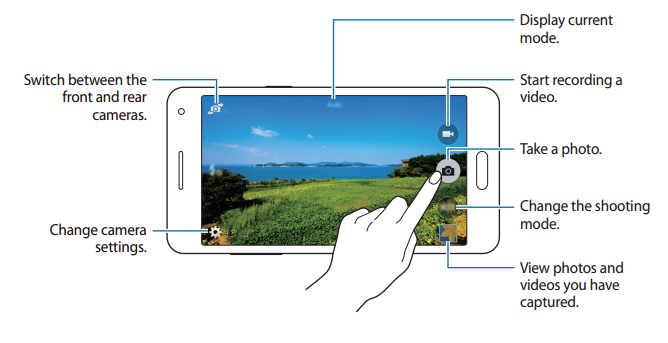 The Samsung Galaxy A5 (SM-A5000) User Manual provide many instructions for example about how to Updating the device? Then how about Backing up and restoring data? Also step by step about Performing a data reset. You can also get information such as about device layout, Using a memory card, Using the SIM or USIM card and battery and Locking and unlocking the screen. In addition, also provide reference infomation such as Using the touch screen, using Wi-fi, Tethering and Mobile hotspot, setting wallpaper, make phone calls, tutorial Importing and exporting contacts, using camera and settings, also using many apps like S finder, S planner, S voice, using internet, dropbox, radio, Google apps, and more. Other important information such as about bluetooth and mobile printing guide, Updating over the air, Updating with Smart Switch, also Troubleshooting.